This is going to sell soon! 156 people have recently viewed it. CARFAX One-Owner. Odometer is 23087 miles below market average! Reviews:* Monumental torque with diesel and automatic powertrain; high-quality cabin; Mega Cab's roomy rear seat; highly off-road-capable Power Wagon version; quiet, comfortable ride. Source: Edmunds* If you want a heavy-duty truck engineered to give you the power you need and deliver it in a gorgeous package, look no further than the Ram 2500. 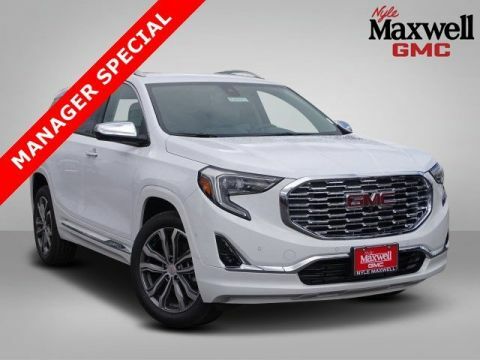 With its signature rounded curves and huge front grille, this truck is instantly recognizable and respected wherever it goes. The Ram 2500 is sold in 3 sizes: Regular Cab, Mega Cab and Crew Cab, and has a wide range of trims to choose from. The Regular Cab offers 3 options: the base level Tradesman, the Big Horn and the SLT. The Mega Cab has 4 trims, with the SLT being the lowest. Finally the Crew Cab offers a stunning seven trims to pick from with the Tradesman being the lowest. All Ram 2500 trucks come standard with an impressive 5.7L HEMI V8 Engine with 383 HP and 400 lb-ft of Torque, and an Automatic 6-speed transmission. It is also available in two-wheel drive and four-wheel drive versions on most models except the following Crew Cab Trims: Tradesman Power Wagon, Outdoorsman, Power Wagon, and Laramie Power Wagon where 4WD is the only option. The interior environment has a polished feel even on the base trims. The regular cab can seat 3 on a bench, and the 4-door versions can either seat 5 when there are two-bucket seats up front, or 6 people on 2 rows. The Mega and Crew cabs add a Uconnect communication system, media hub, and all models include the Vehicle Information Center. Ram has an impressive list of optional features that are available based on what model you want such as: a 6.4L HEMI V8 engine, a 6.7L V6 Turbo Diesel Engine, the RamBox Cargo Management System, a Navigation System, Auto-dimming Rear-view Mirror, Upgraded Sound Systems, and Premium Cloth or Leather Seating. For safety, all models come standard with Anti-lock brakes, Stability Control, and Six Airbags. Source: The Manufacturer Summary* Massive interior room; low step-in height; available fuel-efficient diesel engine. 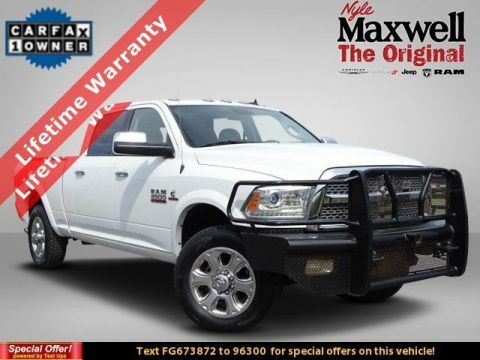 Source: Edmunds2015 Ram 2500 Laramie Auto High Beam Headlamp Control, Convenience Group, Rain Sensitive Windshield Wipers.Bright White Clearcoat Laramie 4WD 6-Speed Automatic Cummins 6.7L I6 TurbodieselCome visit us at the Original Nyle Maxwell in Taylor!! We have the best deals around and with the laid-back country atmosphere you can't beat it! We maintain competitive new and used inventories of Chrysler, Dodge, Jeep and Ram vehicles. 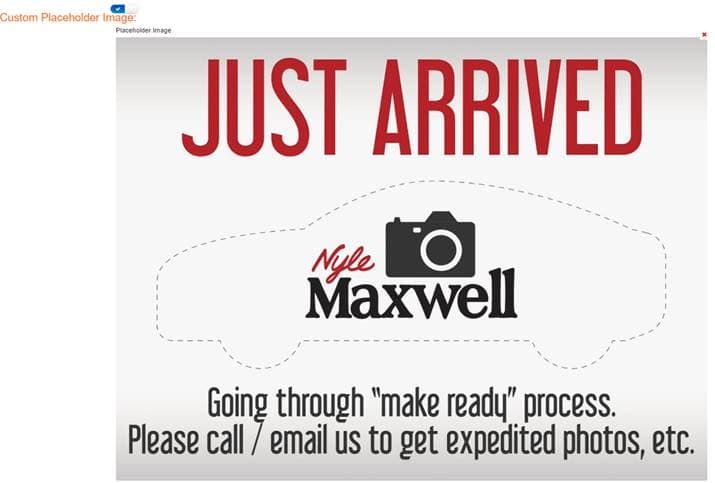 Staffed with experienced sales representatives and top-trained certified technicians, we are here to provide a fun, easy and valuable automotive shopping and service experience. Serving Chrysler, Dodge, Jeep and Ram customers in Central Texas for over 18 years now and we are proud to carry the finest vehicles ever built. We stand by our word and stand by our work. We're committed to maintaining a higher standard of excellence because we live here, we play here, and we work here. Good credit or bad credit we can help you with all your financing needs!